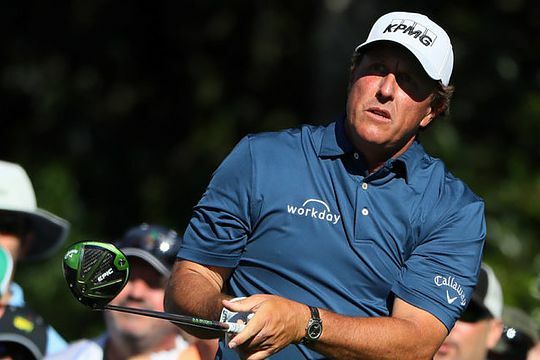 Five-time major champion Phil Mickelson admits he might have ‘overdone it’ a bit in 2018. Now 48, Mickelson played more golf this year than he has done for 16 years and he now admits that may not have been his smartest move. “I’ve made a bit of a mistake this year,” the popular and often outspoken American admitted. Mickelson is now taking stock and looking at cutting back a notch or two after such a busy stretch of playing…even though it included breaking a five-year victory drought with success at the WGC-Mexico Championship in March. His hectic season saw Mickelson play in 24 events, the most since 2002 when he played 26 in a season when he was just 32. Despite being a captain’s pick for the Ryder Cup, Mickelson struggled in France as the American team slumped to defeat. He then headed back to the US and played last week’s Safeway Open, opening with a dashing 65 before tiring to finish in a tie for 17th. That event was actually Mickelson’s eighth in 10 weeks. The previous two seasons saw Mickelson play just 22 events before be kicked off 2018 with a run of five successive events in five weeks leading to his Mexican triumph. His only decent break was between the US Masters and the Wells Fargo Championship and he admitted to reporters that he had struggled with his energy levels and also his focus while on the course.